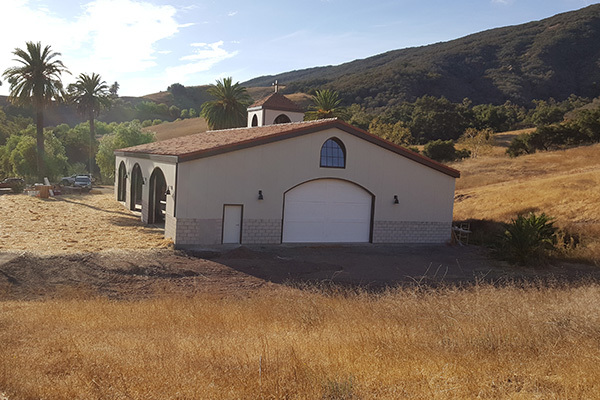 This 6,000 sq ft barn, near Lake Casitas in Ojai, CA, is not your everyday ranch barn since it is intended to accommodate multiple ranch activities. 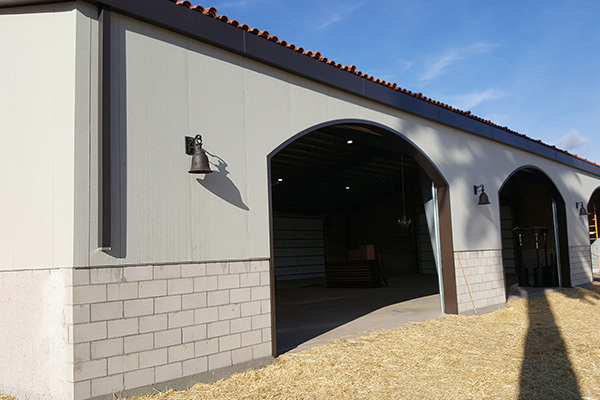 The large overhead doors will accommodate any size ranch equipment that needs cover and the 2” thick insulated panels at the walls will moderate the temperatures inside during hot summers and cold winters. 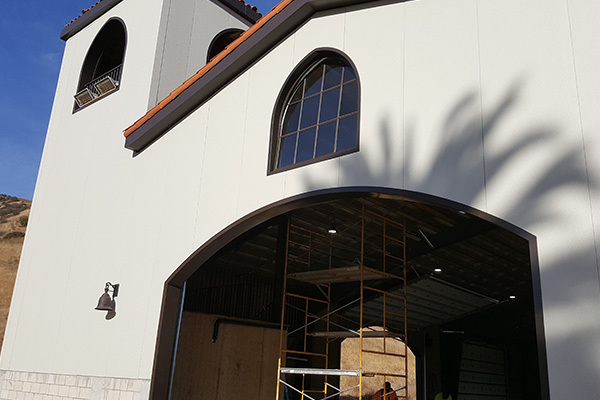 The stone and masonry wainscot around the perimeter assure that the inside of the building is protected from the wear and tear of the equipment being pushed up against the outside walls that would damage metal panels if they extended all the way to the ground. 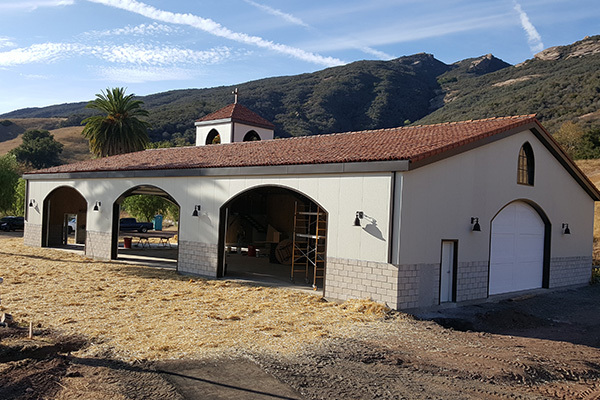 Like most ranches around the Ojai area there is a huge demand for ranch venues for weddings and receptions. 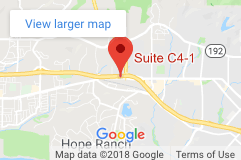 This barn has features that are very accommodating for the wedding/reception demand. 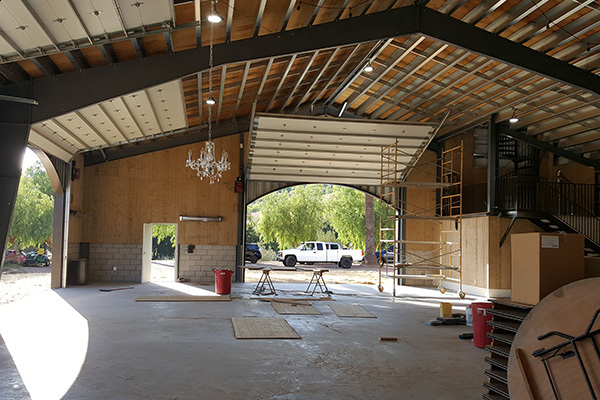 The large overhead doors placed all around the building, when open, provide a spectacular view of the surrounding hillsides and can be adjusted to allow for very pleasant breezes to flow through the building. 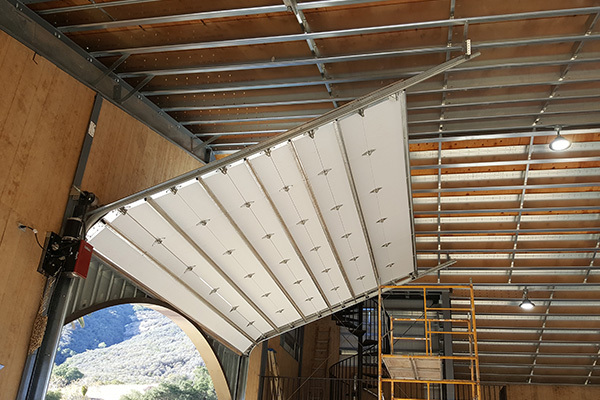 The roof of the barn consists of plywood sheeting over the galvanized roof purlins to project a rustic look from the underside and also provide support for the authentic Mexican style roofing tile that matches the roof tile on the Owner’s house future up the hill on the ranch. The 35’ tall tower is also a nod to the design style of the Owner’s house which has similar towers thus providing a design continuity across the ranch. 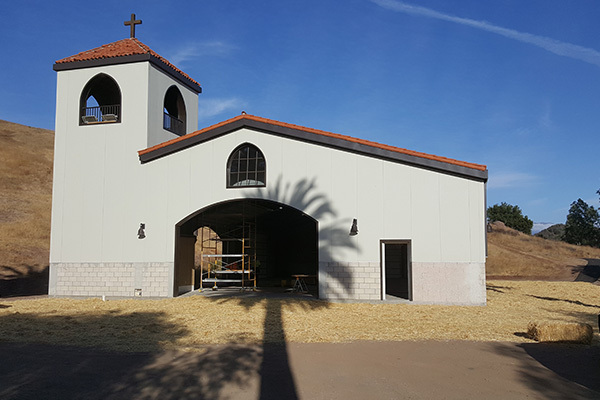 The base of the tower contains two rest rooms, the second floor of the tower provides an overall view of the interior of the barn and then further up a spiral staircase to the top of the tower provides a 360 degree view of the surrounding valleys and mountains.